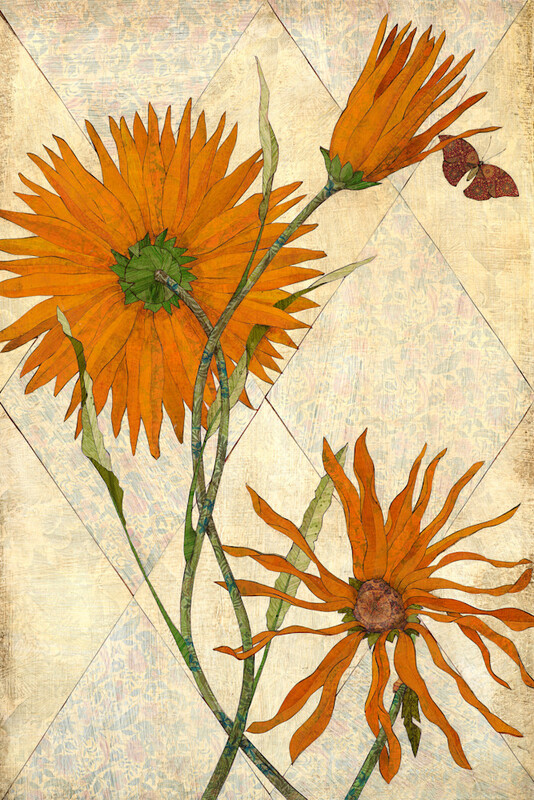 Orange Daisies is a 24x36in collage on panel. Comes ready to hang, no frame or glass is necessary. Orange Daisies is a 24x36in collage on panel. Comes ready to hang, no frame or glass is necessary. Sikie’s Paper Mosaic Botanical Collection is the exploration of the physical beauty of nature. She is inspired by the forms, colors and textures that are resplendent in the natural world. She also shows the flowers in different stages of the life and death cycle.